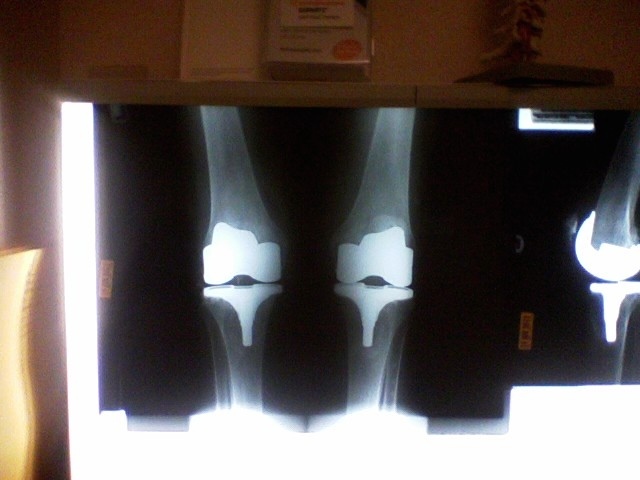 84 y/o female who is 4 weeks post-op after bilateral staged (2 weeks) total knee replacements. Doing well at home with daughter, but has a long road ahead with gait training, strengthening, and pain management. Best wishes to my grandma and the over 500000 other people getting knee replacements this year. ← It’s 10 O’Clock, do you know where your hip joint is?